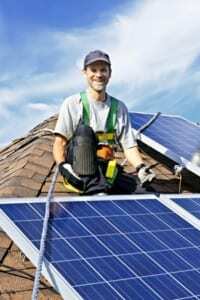 Are Solar Roof Panels the Best Choice for You as a Homeowner? So you just bought a new house, you got an excellent deal on it, and you’re considering sustainable energy sources as an alternative to the grid. Solar roof panels are among your best options by far, since they can basically provide you with free energy for long years to come. But is a solar panel system your best choice? Solar roof panels are somewhat more expensive to buy and install, but they can give you some excellent returns in the long run. Also, you’ll find that a lot of new manufacturers are available that can provide you with cheaper, more durable solutions and better power storage technology for those times when there isn’t much sunlight during the day. Another great thing about solar roof panels is that they don’t need extra space when you install them. Your roof has enough square footage to provide you with excellent power generation options for a long time to come. You might even be able to feed some of the energy back into the grid with that kind of setup. Finally, solar roof panels are more robust than regular solar panels, and they provide you with improved protection for your home. Typically, you won’t need to worry about the expense either, since the option of blending solar panels with your roof installation will reduce a lot of your costs. Interstate Roofing can give you expert advice regarding your roofing options. Call them today!